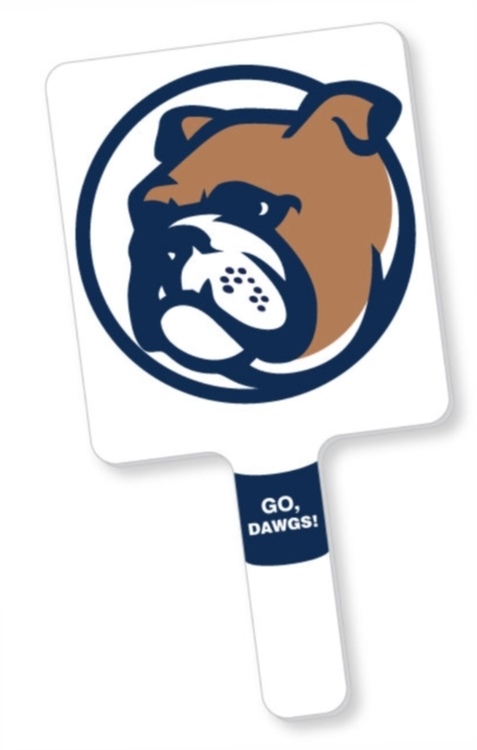 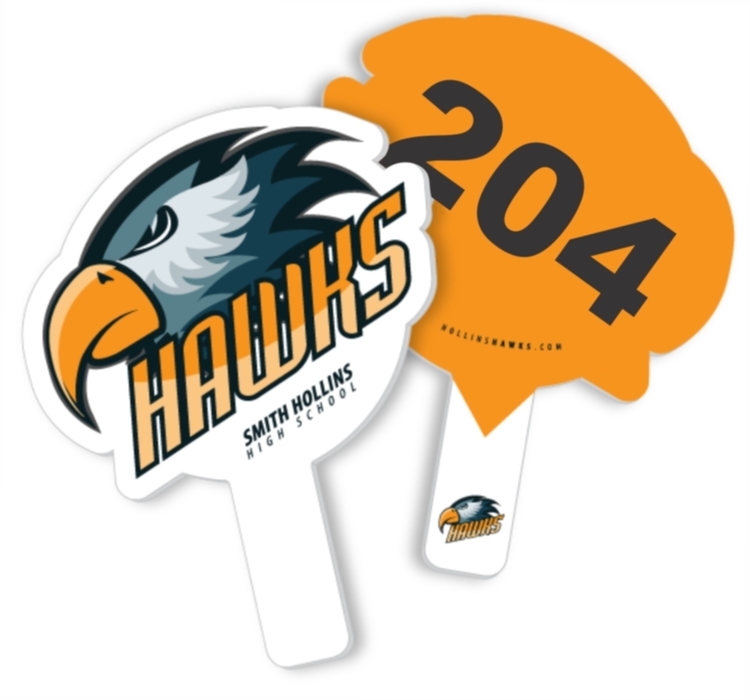 We can make your long lasting and reusable auction bid paddle in any shape you want with no die charge and low pricing with low minimum order quantities. 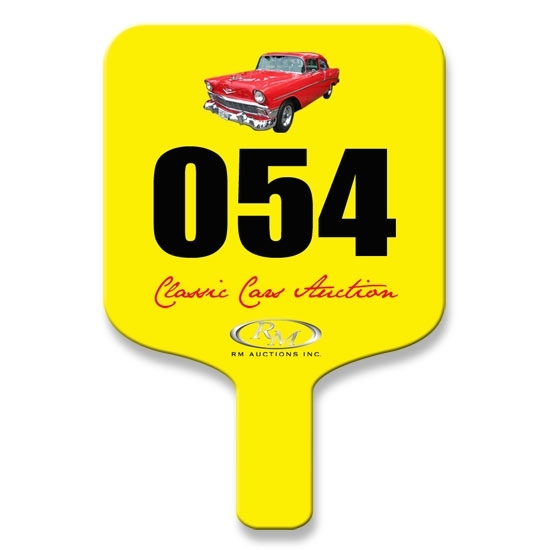 We also have stock shapes available. 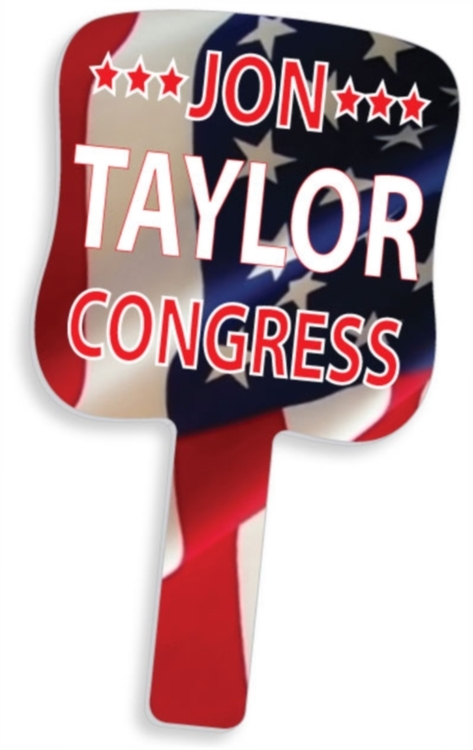 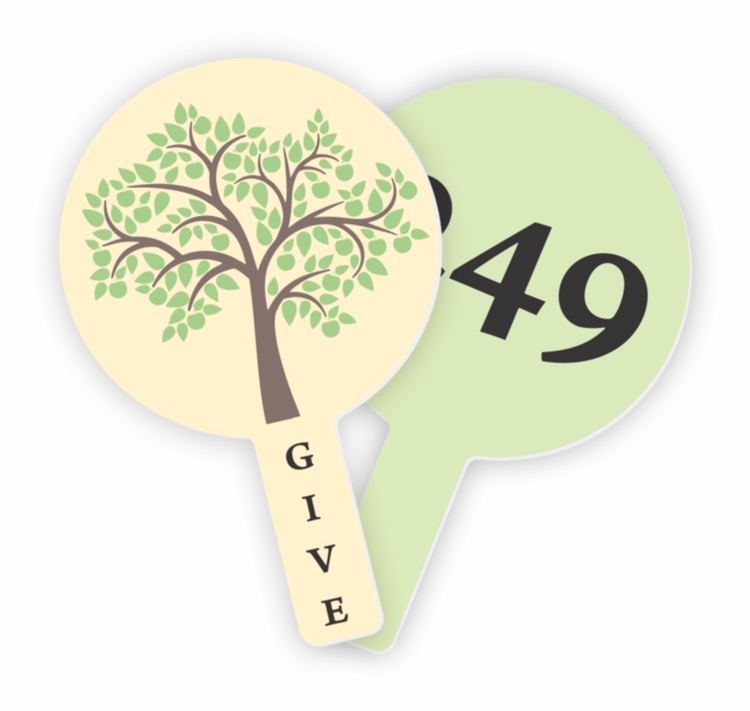 Our auction paddles are printed in full color and have consecutive numbering on one or both sides.